U.S. stocks rose on Wednesday as investors cheered strong quarterly earnings from major banks like Goldman Sachs and Bank of America. 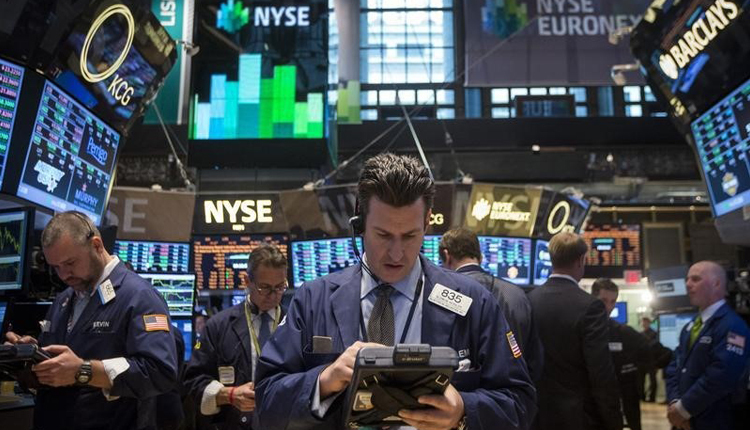 The Dow Jones Industrial Average rose 141.57 points to 24,207.16 as Goldman Sachs outperformed. The S&P 500 gained 0.2 percent to close at 2,616.10, led by a 2.2 percent gain in financials. The Nasdaq Composite climbed 0.15 percent to 7,034.69. Goldman Sachs posted blowout quarterly earnings, sending the stock up 9.54 percent, its biggest one-day gain since 2009. Bank of America also rose 7.16 percent after reporting a record quarterly profit. The reports follow the releases of fourth-quarter results from Citigroup, J.P. Morgan Chase and Wells Fargo earlier this week. Morgan Stanley, another major bank, is scheduled to report on Thursday. “Overall, Goldman had a good quarter,” said Ken Leon, an analyst at CFRA Research. Also, “we did not see a multibillion dollar reserve for Malaysia,” he added referring to the 1MDB scandal. Separately, United Continental surged more than 6 percent after the company posted better-than expected earnings on Tuesday. The moves Wednesday follow solid gains in the previous session. The Dow closed more than 100 points higher on Tuesday as tech shares outperformed. Nordstrom shares fell more than 4.5 percent after the company said sales at some stores were “below expectations ” during the holiday season. Meanwhile, Snap dropped more than 13 percent on news the company’s CFO was resigning.